You’ve been grinding and putting in hard work on driving the growth of your business all year and the gears just won’t stop turning! Before you know it—the holidays are right around the corner and you have yet to put anything together to bolster the online presence for your business during this time. Most notably, for the upcoming Black Friday and Cyber Monday holidays. Don’t worry, it’s not too late! There are a few last minute things you could do reach out to your client base and following to drive sales. But before we dive right in, what are these two holidays for anyway? Black Friday falls on the the day after Thanksgiving Day and is highly regarded as the unofficial start of the Christmas shopping season here in the US. Cyber Monday is the term used for the Monday following the Thanksgiving holiday. Marketers call it “Cyber Monday” to encourage more online shopping sales. Now that we’re all caught up on the holidays, let’s take a look at the steps you can take to effectively reach your clients during this holiday block. It very may well go without saying—use social media to your advantage! For the most part, social media is a free way to get the word out to your customer base to capture more sales for your business. There is also more potential to reach new leads from outside traffic leading back to your website. Use these channels to push any Black Friday or Cyber Monday deals, specials and promotions out to your followers. There are plenty of other businesses out there that are also posting all over social media with you, so aside from all of the warm Thanksgiving updates on their news feed, your potential customers may already be bombarded with plenty of social media advertisement already—talk about distracted. You’ll need to catch their attention quickly, or they’ll more than likely skip anything you have to offer entirely. Catches your attention and conveys the purpose instantaneously – Online users are constantly scrolling through their news feeds for information, and for the most part, it only takes but a moment for someone to pass over a post. Create an image that could capture the attention of your target audience and input copy that best reflects your promotion in a way that would click with the viewer instantaneously. Need a quick example? Take a look at the header image for this blog post! Ideally, create a video – Social media channels are embracing the video medium more and more—and this could be seen in the way that video now auto-play as users scroll through their news feed. If there is more information that you need your ad to convey, creating a video could effectively send the message out over an image and extra text. Make it easy to redeem your promotion – Do not simply post your image or video along with the URL of your website—make sure that your link is clickable. Adding a button that will prompt your viewer to click through to your website makes it even easier for both you and them! Do not underestimate the power of the traditional e-mail! Your contact list is already filled with current customers and relevant leads that subscribed to your list for you to continue to engage with. Use it! 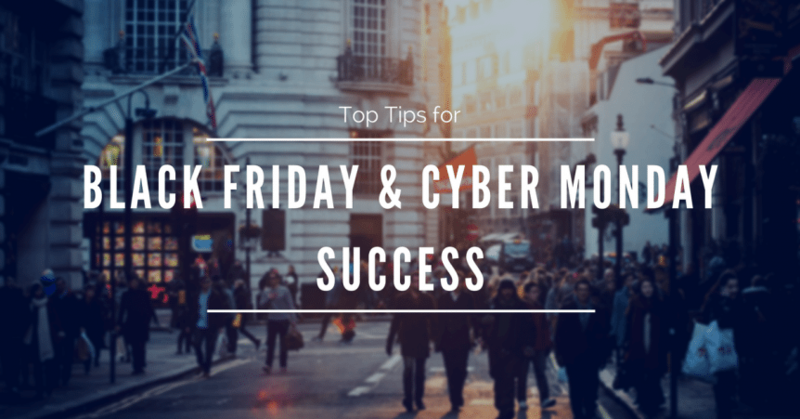 You’ll be able to reel in the repeat business of your loyal customers by executing e-mail campaigns for Black Friday & Cyber Monday. 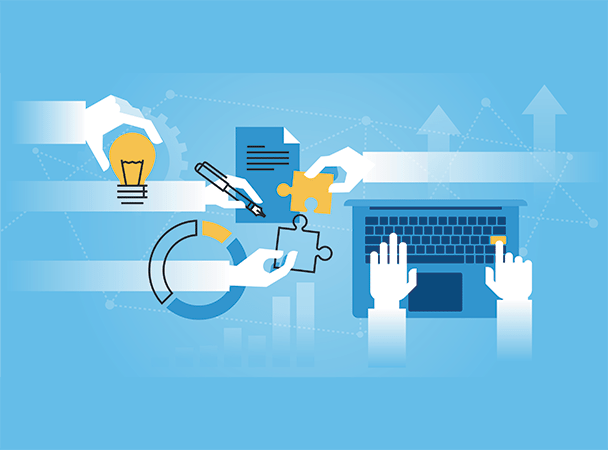 This would be one of the more easier methods to drive business as your customers have already engaged in a transaction with your business—making it more likely that they would like to do business with you again. Let’s give your existing customers even more incentive to take action. Create a promotion or exclusive deal that is only accessible to your current customers and subscriber list within a specific timeframe. It is imperative that you ensure that the online presence for your business is ready and accurate for this holiday season. If you have a physical location for your business, another helpful point for your customers would be to submit a picture of the specific location so that they could find you more easily. It’s not too late to utilize pay-per-click advertising. This method is a relatively easy way to set up advertisement within an affordable budget, and once you’ve gotten your PPC ad going, it will quickly be displayed at the top of the search results page. There is a limited amount of space to input comprehensive ad copy—so make sure to make a couple of different ad groups (for ex., one for Black Friday and Cyber Monday), and several different ads to target different products or services that you would like to focus on. Customers won’t want to waste time on slow or subpar customer service and won’t mind taking their business elsewhere during this season—especially with all of the other deals they could be taking advantage of! Make it worth their while by stepping it up a notch in your customer service. The growth of your business will speak for itself afterwards! After your quick social media push and e-mail marketing campaigns for Black Friday & Cyber Monday, make sure to set up a way to capture new leads into your database for the future. Use these new leads and subscribers in your contact list and keep in touch. Keep these followers engaged with regular news and updates about your business. If you have a customer or a potential lead that is not already in your mailing list—make sure that they are on your mailing list! Figure out a relatively easy way for online users to subscribe to more content from you. From here, you could continue the cycle and keep on driving your business forward.